The Chancel Choir is one of the best ways to become active in the music ministries of FUMC. They regularly sing for the 8:30 am and 11:00 am traditional services. The choir sings a mixture of traditional and contemporary anthems. During Advent and Lent, the Chancel Choir prepares special music programs. 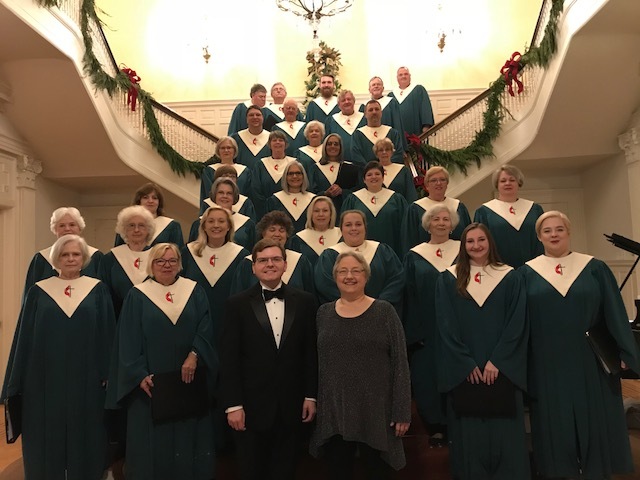 Membership is open to all who have an interest in singing sacred church music and who have the desire to serve Christ through their musical abilities. You are invited to join the Chancel Choir! The Chancel Choir rehearses on Wednesday evenings at 7:00 pm in the choir suite located behind the Sanctuary.